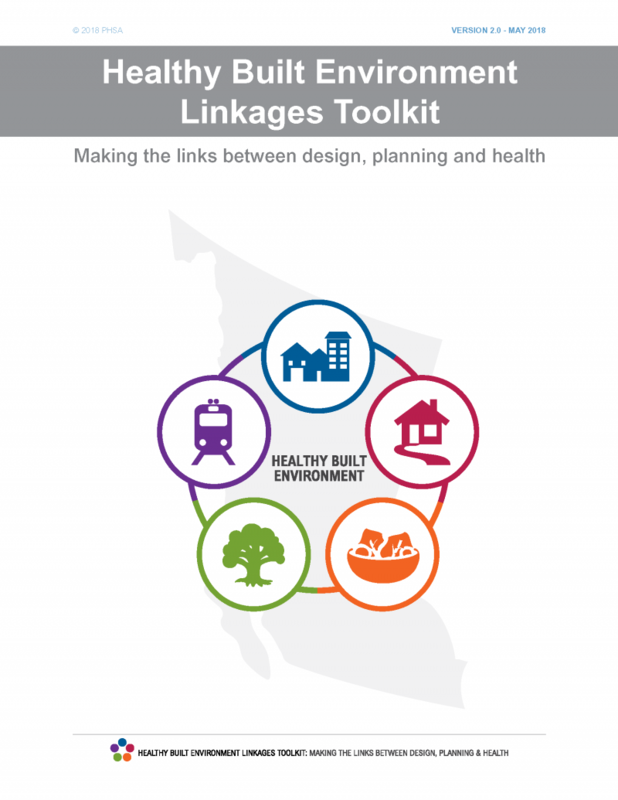 The Healthy Built Environment (HBE) Linkages Toolkit is maintained by the Population & Public Health team at the BC Centre for Disease Control (BCCDC). This Toolkit is intended to support the inclusion of health considerations within community planning and design. It is designed as a quick reference to the body of research evidence which describes how our built environment can influence population health. The Health Design Lab (HDL) is collaborating with BCCDC to enhance the information design and usability of their HBE Linkages Toolkit and, more specifically, the Health Evidence Diagrams, which are graphic overviews of the research, which highlight where impacts and outcomes are strong, moderate, or newly emerging. Currently, these diagrams have been designed in static format and there is interest in creating interactive online versions. HDL will lead a holistic review of the current HBE Linkages Toolkit, including the Evidence Diagrams and will be working collaboratively with the BCCDC team to ideate improved information design, data visualization and communication strategies. This will involve iterative feedback and review with key stakeholders to ensure that the strategy can be implemented.